Will it be a concept previewing the new Alfa Romeo 8C supercar? We can dream. 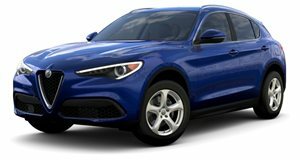 Just this week, a report by Autoblog.gr claimed that Alfa Romeo will reveal a new compact crossover at the 2019 Geneva Motor Show that will slot below the Stelvio. Since then, the company's PR Manager, Berj Alexanian, has reached out to us confirming that Alfa Romeo will reveal a mystery new model at Geneva next month. Let the speculation begin. "Alfa Romeo will be at the Geneva Motor Show in full force with our award-winning lineup and something new up our sleeves as well,” he told us. "We're excited to show everyone a taste of what’s next in the world of Italian performance and luxury. Stay tuned on March 5 to see a glimpse into the next chapter of Alfa Romeo's legendary story." This isn’t explicit confirmation it will be a compact crossover, but at least we now know that Alfa Romeo will debut a new model next month. Looking back at the company’s 2018-2022 roadmap released last year, the new model could simply be an updated version of the Giulietta. 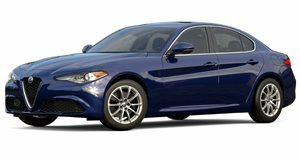 The Giulia sedan and Stelvio crossover are also getting a mid-cycle refresh, with both models also spawning long-wheelbase variants with extra legroom. A larger SUV is also in the cards that will be positioned above the Stelvio. However, the wording of Alfa Romeo's statement implies it could have something more exciting lined up. We know that the automaker will revive the GTV sports coupe and 8C supercar by 2022. Both cars have already been teased, so it’s possible that Alfa Romeo could reveal a new concept car at Geneva previewing its new halo model. We can dream. Going back to Alfa Romeo’s new compact crossover, this week's report claims it will ride on the same platform as the Jeep Renegade rather than on a downsized version of the Giorgio architecture that underpins the Giulia sedan and the Stelvio. Being based on the same platform as the Jeep Renegade and Fiat 500X also means it should be offered with front- and all-wheel-drive. These details haven’t been verified, however, so we’ll have to wait until March 5 to find out what Alfa Romeo has been cooking up.